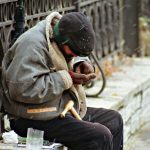 The canton of Vaud decided to ban begging after the Swiss People’s Party (UDC/SVP) launched an initiative to make it illegal. Vaud’s state government voted in favour of the move on Tuesday, by 60 votes for, 56 against, and 5 abstentions, according to the newspaper Le Matin. A referendum would achieve nothing further. State councilor Béatrice Métraux, pleaded in vain for an alternative plan, that would have banned organised begging and the use of children. She also said that she thought communes were better placed to manage the problem than the canton, adding that the rules lacked nuance and were insufficiently strict for organised begging, especially the kind involving children. Philippe Ducommun (UDC) said “Vaud must do what Geneva has done. 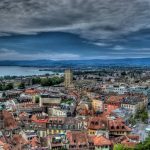 A complete ban is the only effective way to fight this scourge.” In Vaud, the commune of Lausanne controls begging, while most other towns ban it. “Lausanne tried a half fix that satisfied no one” said Marc-Olivier Buffat (PLR), “It’s wrong to say bans are ineffective. It has worked successfully and humanely in Montreux”, he said. 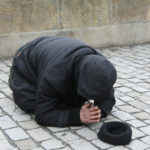 The text sets out fines of CHF 50 to CHF 100 for begging, rising to CHF 500 to CHF 2,000 for those who manage others, in particular children, to do it in an organised manner. According to the left and the Green party, the new rules are going to bring a wave of additional bureaucracy. Geneva’s experience shows it is hard to fine the guilty. A referendum is still possible, but unlikely. Begging is illegal in other parts of the world, for example Denmark and Greece. On 10 October 2016, the political group SolidaritéS, launched a referendum against this new law. To put the issue before Vaud voters, the party will need to collect 12,000 signatures. Their campaign tagline is “Begging to survive is not a crime. Fight against poverty, not the poor”. SolidaritéS describes itself as an anticapitalist, feminist, eco-socialist political movement. For more stories like this on Switzerland follow us on Facebook and Twitter. Question of the week: why don't we mourn the loss of rainforests as deeply as that of Notre Dame? Question of the week: why don’t we mourn the loss of rainforests as deeply as that of Notre Dame? New exhibition opens at Lausanne’s Olympic Museum – We are Olympians, and You?